The vast majority of golfers do not play in tournaments. They don’t “compete” grinding for a score as though their lives or livelihood depended on it. Combined with the fact substantially less than 20 percent (maybe as low as 10-12 percent, nobody’s sure) of those who play have a USGA Handicap and the conclusion is obvious. People play golf for fun, enjoying the company of their friends, for the exercise, for the satisfaction of a well struck shot—not because they expect to compete in the next U.S. Open qualifier or winning their card on the PGA Tour. Indeed, fun and golf need to be synonymous for a very good reason. It is the one sure way to attract new people to our game and as importantly, retain those who already play. 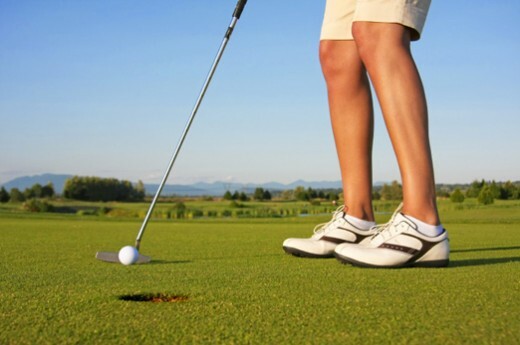 The idea of “fun golf” has to overcome two pretty big obstacles, the difficulty of hitting a golf ball a reasonable distance in the desired direction and the added burden that comes from playing strictly by the Rules of Golf. The fact hitting a golf ball is hard to do doesn’t necessarily keep the approximately 25 million Americans in the game but there’s no doubt playing to a reasonable level of skill takes a measure of commitment, i.e., lessons and practice. This means spending more of that precious commodity time…but that’s another topic. Golf’s social aspect is critical. Players who leave the game often say not finding people they enjoy being around as a big reason for dropping out. In other words it wasn’t fun. Several organizations such as the United States Recreational Golf Association are addressing the fun problem and then there are dozens of ideas to expand golf’s appeal being vetted by Hack Golf. However, there’s one surefire idea to make golf more fun and speed up play at the same time. Why not simply limit the number of putts? Lineup that first putt and hit it. If it goes in fine, if not concede the second putt and move on. Putting exasperation would be a thing of the past and all of a sudden the game becomes a fun experience rather than exercise in frustration. On the downside though, scores from limited-putt rounds would not be acceptable for USGA Handicap calculation…but since 80 plus percent of golfers don’t have a handicap, who cares?